The start of 2017 marks the 26th year for this weekly column on Alaska's seafood industry that aims to make readers aware of the economic and cultural importance of our state's oldest industry. Alaska fishermen and processors provide 65 percent of our nation's wild-caught seafood; it is also Alaska's most valuable export to more than 100 countries around the world. The bulk of Alaska's fishing fleet of nearly 10,000 vessels is made up of boats less than 50 feet long. Each is a small business that supports several families. 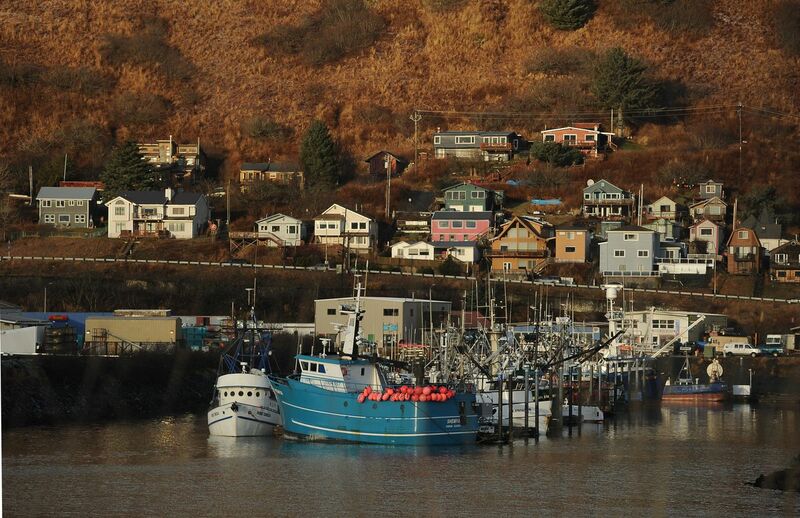 For fishing towns like Kodiak, Cordova and Homer, where 500 to 700 vessels are home-ported, those boats are essentially the majority of our downtown store fronts. Call it a mall in a marina. Here are my fishing picks and pans for 2016 — a look back at the best and worst fish stories of 2016, in no order, plus my choice for the biggest story of the year. Biggest new industry potential: Seaweed. Kelp alone is a $5 billion global industry. A task force has one year to provide Gov. Bill Walker with a statewide mariculture plan for producing more seaweed and shellfish. Canada, California and Maine have already come knocking. About time: Replacing fishery observers aboard small boats with electronic monitoring systems. Credit Saltwater, Inc. of Anchorage, Kenai Peninsula Fisheries Association and Alaska Longline Fishermen's Association of Sitka for getting EMS onboard in 2017. Best fish entrepreneurs: Salmon Sisters of Homer. (www.adn.com/we-alaskans/article/fishy-business/2015/04/05/). Best fish sigh of relief: Gulf fishermen can use pots instead of hooks to keep whales from robbing sablefish catches. At fish prices ranging from $4 to more than $9 a pound, depending on size, "getting whaled" makes for a payday bust. Best fish visionaries: Tidal Vision LLC of Juneau, for its eco-friendly method of extracting chitin from crab shells, a first in the U.S. Uses for chitin range from fabrics to pharmaceuticals and are too numerous to mention. Best fish legislators: Rep. Louise Stutes, R-Kodiak, and Rep. Bryce Edgmon, D-Dillingham. Best fishing career builders: University of Alaska Southeast, Kodiak College for "on-the-go" courses in boat hydraulics, electronics, repairs, fishery technicians and more. Best fish giver: Sea Share, with 225 million fish servings to food banks since 1994. Trickiest fishing conundrum: Sea otters vs. crab and dive fisheries in Southeast Alaska. Most Earth-friendly fishing town: Kodiak, for generating nearly 100 percent of its electricity from wind and hydropower, and for turning fish waste into oils and meal at a plant owned by local processors. Biggest fish head-scratcher: Recreational Quota Entities that will let halibut charter operators buy commercial shares of the catch – up to 15 percent from Southeast and 12 percent from the Central Gulf of Alaska, making the entities the largest halibut shareholders in the North Pacific within 10 years. Scariest fish story: Ocean acidification. The corrosion of crab, scallop, oyster and snail shells is already documented in Pacific waters. Best fish ambassadors: Alaska Seafood Marketing Institute. Best global fish story: The U.S. and other nations cracking down on illegal and undocumented catches by fish pirates — more than 20 percent of the global fish harvest. Best commercial fishing news site on the web: Seafood.com. Best fish watchers: Cook Inletkeeper, Salmon Beyond Borders. Most encouraging fish talks: Alaska and British Columbia officials meeting for the first time in an effort to protect transboundary waters in Southeast from mining accidents upstream. Best boost for fishing: Fishermen-funded Bristol Bay Regional Seafood Development Association and eight processors for ponying up $250,000 to cover salmon management budget shortfalls. Otherwise, more than 1.6 million sockeye salmon would have been taken as "cost recovery" from the fishery to fund counting stations, weirs and other oversight measures done by state government. Biggest fish flop: Putting the onus on fishermen to cover the research and management costs of going fishing (see above). Best fish connectors: Alaska Marine Conservation Council, for its Caught by Alaskans for Alaskans program. Best fish mainstream push: Alaska herring showcased as smoked, pickled, pated and filleted by 40 Seattle restaurants for Northwest Herring Week. Credit Bruce Schactler of Kodiak and ASMI's Herring Development Project. Most ill-timed move: U.S. Navy war games held again in May as Alaska's salmon season gets underway. The area covers 60,000 square miles off the tip of the Kenai Peninsula. Requests to move the war games to September have been dismissed. Biggest fish bust: The no-show of pink salmon was the worst since the 1970s to major regions and prompted a call for emergency relief from Uncle Sam. Biggest fish boo-boo: Forty-four percent of Bristol Bay's 1,500 active driftnetters still don't chill their salmon. That pushes down fish prices in the bay and beyond. Fish story of the year: On the final day of its December meeting, the North Pacific Fishery Management Council turned its back on plans to reduce chinook salmon and halibut bycatch taken by Gulf of Alaska trawlers. The program, under discussion for years, aimed to slow the race to catch up to 25 different kinds of whitefish (cod, pollock, flounders, etc.) that comprise more than 80 percent of Kodiak's annual landings. Stakeholders were pushing for a mix of catch shares and cooperatives to help them avoid bycatch — while catching their full quotas. Now, trawlers face strict bycatch caps that shut down various fisheries when the caps are reached. The closures result in an idled waterfront and no steady, year-round work for Kodiak's large seafood processing workforce. But calling it "too divisive," the council, led by Alaska Department of Fish and Game Commissioner Sam Cotten, tabled the entire program and just walked away, bycatch and whitefish landings be damned.